To all prospective writers today I start a new series of blogs dedicated to the process of taking a novel from a final draft to the finished, published project. To this end, I will share with you some of the comments I just received from my editor for my second book, “The 12th Demon: Mark of the Wolf Dragon”. Don’t worry! There will be no spoilers. I want to dwell on the process so you can see what I see as I hack and hone the work to its final product. What a pleasure to work with you again on this series. You’ve put together an excellent novel here—and I find the move to more of an action / thriller genre a good one. Horror protagonists tend to be pitiable, average Joes put in unfortunate circumstances, but Steel is the Jason Bourne of paranormal Christian fiction, and I love that you play to his (and your) strengths here. Wow! That really pumped me up. Then came the next 14 pages. Yes, 14 pages of detailed suggestions on improving the novel. How would you react to receiving 14 pages of suggestions? At first, I was very overwhelmed when my editor sent me a similar set of pages for my first book, “The 13th Demon”. It was almost a year ago and I remember sitting at my desk stunned at the amount of work it was going to take to bring my novel to where my editor thought it should be. I almost called my publisher, Realms Books, and told them I would send back the advance check and could we please tear up the contract? Isn’t it funny how easily we can be discouraged? 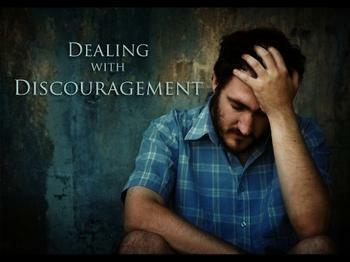 I’ve found that one of Satan’s most powerful weapons is discouragement. Years ago, I wrote a short sketch. I played Satan and my friend, Mary come out on the stage holding a little candle. She was singing, “This little light of mine. I’m going to let it shine . . .” I was dressed all in black and I leaned in and began whispering words of absolute doubt and self loathing in her ears. I kept it up until she stopped singing and I blew out her candle. She relit the candle two more times and each time I chose another area of her life to talk about such as her failures with her marriage, etc. and blew out her candle. At the end of the sketch, I went one last round of discouraging words and she blew out her own candle! Satan discourages us, but ultimately we are our own worst enemy. 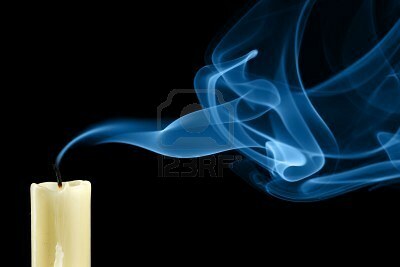 We blow out our own candle. I realized Satan was whispering these words in my ears and I chased him away with some choice words, the name of Jesus, and a few scriptures. I sat down and completely rewrote most of my manuscript in six weeks until my editor and I completed the final product, “The 13th Demon: Altar of the Spiral Eye”. 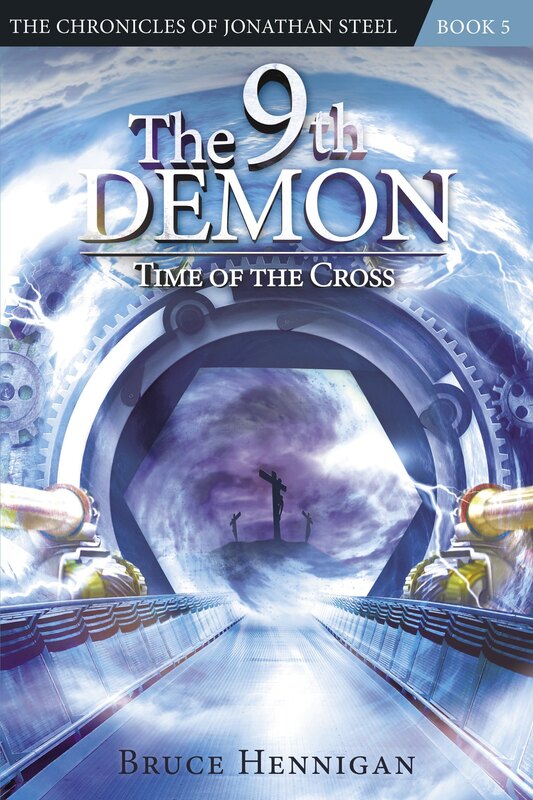 After that rewrite, even though I had turned in the final manuscript for “The 12th Demon” I went back and took it through a similar process and rewrote it and sent it in to Realms this past November. Gratefully, they passed it on to my editor, Andy Meisenheimer and now I have twice as many suggestions as on the first book! But, I am not in despair. You see, Andy told me in the email with the attached notes that he really liked this second book and wanted to really push me even harder than on the first book. Push me harder? Okaaaaay! Lesson learned. You can always improve. You can always grow and be better. I strive to always remain teachable. Many of my favorite authors started out a book series with a book that was good, but had weaknesses. And, with time, their subsequent books just got better and better and better. This is what I want to do. I am hoping for that day when I have learned enough of the ropes of writing that the pages diminish, but the praise increases from my editor. So, in the coming weeks, I’ll cover some of the areas where I will strive to do better: PLOT, STYLE, and CHARACTERS. Hey, I’m pumped that I have a STYLE! Posted on January 12, 2012, in Breaking News, My Writing, Speculative Fiction, Steel Chronicles and tagged Character, Christian action novels, Discouragement, Editing, Horror novels, Jason Bourne, Plot. Bookmark the permalink. Leave a comment.